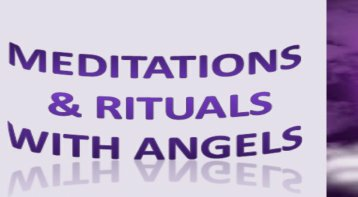 Angel Therapy is a powerfully effective and safe healing modality that helps you release fears or other emotional blocks, receive guidance about your life purpose and other issues to heal your body and life. Everyone has guardian angels with them. The word angel means “messenger of God”. 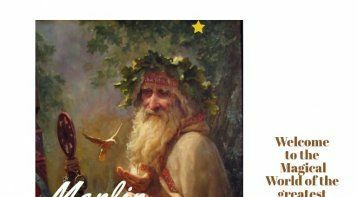 Angels carry messages between the Creator and the created, like Heavenly postal carriers. These angels are pure beings of Divine light who are entirely trustworthy and who want to help us with every aspect of our life. We don’t worship or pray to the angels, because we only worship a universal force or our own God. Nor do the angels want to be worshipped. If you worry whether you’re connecting with God’s trustworthy angel, ask God and Archangel Michael to protect you and to provide a barrier so that no one, human or spirit, who is not of God’s pure love can come near to you. Angels love everyone unconditionally. They look past the surface and see the godliness within all of us. They focus only on our Divinity and potential, and not on our “faults.” So angels aren’t judgmental, and they only bring love into our lives. You can totally trust and feel safe with them. 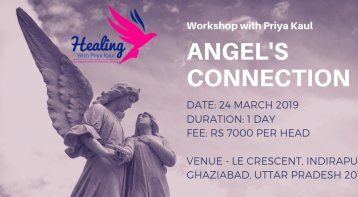 Through this course, you will be introduced to the beautiful world of Angels which will give you an Insight into understanding the Abundance that Universe holds for us and is ready to shower on us. 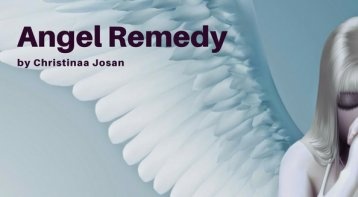 Join us in this exciting and enlightening course on Angel Therapy! 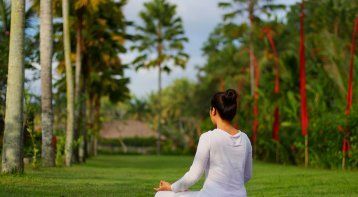 Join This Unique Meditation and Rituals . . .